The nation’s health insurance companies have been winning lawsuit after lawsuit over the Trump administration’s decision to end cost-sharing reduction (CSR) payments in 2017. CSR payments are a feature of the Affordable Care Act (ACA, or Obamacare) that sent billions to insurers to help them restrain premiums for low- and middle-income customers on the Obamacare exchanges, defined as those with incomes below 250 percent of the federal poverty limit, or $63,125 this year for a family of four. Such payments were routinely made under the Obama administration, but House Republicans sued on the grounds that Congress had never authorized the funding. A D.C. district judge agreed, allowing the Trump administration to end the program. Now, the insurers are striking back and finding a friendly resource for their cause. Of 12 cases arguing the payments are part of the ACA and must be restored, six have so far gone in favor of the providers and not the White House. All of the cases have been heard before judges at the Court of Federal Claims, which can order the government to pay up even if Congress never appropriated the funds. The California Court of Appeal has ruled, in Ward v. Tilly’s, Inc., that a 75-year-old state work order’s phrase “report to work” also includes telephone call-ins to inquire whether or not to physically show up for a shift that day. The phrase appears in California Industrial Welfare Commission’s (IWC) Wage Order 7 and mandates that when employees “report to work” but are not then required to perform any work, they are owed at least two hours but not more than four hours of pay. Tilly’s, a clothing retailer, maintained two types of shifts — scheduled and on-call, the latter of which required employees to call in to see if they were needed that day for an extra shift. The lawsuit was brought by Skylar Ward, a Tilly’s employee who was routinely asked to call in to see if the company needed her to work a shift that day. She seized on the 1943 work order and its phrase “report to work” and sued for back pay. The trial court sided with Tilly’s, reasoning that “report to work” requires one’s physical presence. The Equal Employment Opportunity Commission (EEOC) today issued a technical Notice of Proposed Rulemaking (NPRM) that proposes a limited procedural change to the federal sector processing regulations. The NPRM was posted by the Federal Register for public inspection today and will be published in the Federal Register on Feb. 14, 2019. Members of the public wishing to comment on the NPRM will have 60 days from the date of publication to do so, through www.regulations.gov. The NPRM, approved by the commission in a unanimous vote on Dec. 20, 2018, would change the rule for when a federal sector complainant may choose to withdraw an EEOC administrative appeal (that is, an administrative appeal to the EEOC from the employing department’s or agency’s final action) and instead file a lawsuit in federal court. Federal complainants are not required by statute to appeal to the EEOC before going to court; they simply have that option under the EEOC’s regulation. The legislature has approved — and Utah Gov. Gary R. Herbert (R.) has signed — legislation that curtails the wish of state voters who, in November, approved a referendum expanding access to Medicaid to residents with incomes up to 138 percent of the federal poverty line, in keeping with the provisions of the Affordable Care Act (ACA, or Obamacare). The legislation instead expands access only to individuals and families with incomes at the federal poverty level, which equates to some 80,000 people as opposed to 150,000 or so under the referendum. The fly in the ointment, however, is that the state must get the Trump administration to grant a waiver from the Medicaid provision of Obamacare, which sets the threshold for federal funding at 138 percent of the poverty line, or about $17,000 for an individual and $35,000 for a family of four. The Utah law seeks both the waiver and full federal funding as if it were covering up to 138 percent of the poverty level, not just 100 percent. The Deep Red state had, prior to the initiative by voters, allowed Medicaid access only to those at 60 percent of the federal poverty line. 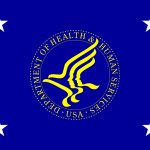 The Office for Civil Rights (OCR) at the Department of Health and Human Services (HHS) has concluded an all-time record year in Health Insurance Portability and Accountability Act (HIPAA) enforcement activity. In 2018, OCR settled 10 cases and was granted summary judgment in a case before an Administrative Law Judge, together totaling $28.7 million from enforcement actions. This total surpassed the previous record of $23.5 million from 2016 by 22 percent. In addition, OCR also achieved the single largest individual HIPAA settlement in history of $16 million with Anthem, Inc., representing a nearly three-fold increase over the previous record settlement of $5.5 million in 2016. OCR’s final settlement of the year occurred in December 2018, when Cottage Health agreed to pay $3 million to OCR and to adopt a substantial corrective action plan to settle potential violations of the HIPAA Rules. Cottage Health operates Santa Barbara Cottage Hospital, Santa Ynez Cottage Hospital, Goleta Valley Cottage Hospital and Cottage Rehabilitation Hospital, in California. OCR received two notifications from Cottage Health regarding breaches of unsecured electronic protected health information (ePHI) affecting over 62,500 individuals, one in December 2013 and another in December 2015. The Small Business Health Insurance Options Program (SHOP), which got off to a troubled start in 2014 on HealthCare.gov, breathes its last today, as the function shifts to brokers who will sell small business policies henceforth under the Affordable Care Act (ACA, or Obamacare). This change follows from the new opportunity for small businesses to enroll directly in SHOP coverage through a qualified agent, broker, or issuer. Regulations finalized last year moved the Federal Exchange platform to an issuer-based enrollment approach to allow businesses to more easily enroll in SHOP coverage. For SHOP coverage that started in 2017, you will not be able to access the enrollment and payment portal by logging in at HealthCare.gov after February 10. For help with 2017 coverage after February 10, contact the issuer, or your agent or broker. If you have SHOP coverage for 2018 and beyond, you’ll continue working directly with your insurance company or SHOP-registered agent or broker to apply, enroll, make any coverage updates or pay your premiums. The Department of Labor (DOL) today announced the launch of an enhanced electronic version of its Handy Reference Guide to the Fair Labor Standards Act (FLSA). This new online version of one of the most popular publications of the Wage and Hour Division (WHD) is designed to assist American employers and workers with a simple, easy-to-follow resource that provides basic WHD information, as well as links to other resources. WHD says it established this electronic guide as part of its ongoing efforts to modernize compliance assistance materials for employers and workers, and to provide easily accessible, plain-language information that will guide them to compliance. This tool offers a new design — reformatted for laptops, tablets, and other mobile devices — and provides numerous additional resources and related information, including plain-language videos. Will FMLA Morph into the FAMILY Act? As the Family and Medical Leave Act (FMLA) celebrates its 26th anniversary today (Feb. 5, 2019), movement is afoot in Congress to supplant the non-paid leave of the FMLA with paid leave under proposed legislation titled the Family and Medical Insurance Leave (FAMILY) Act. The proposed bill will be introduced in both houses in the near future, according to supporters. The FAMILY Act builds on paid-leave initiatives in California and other states. As a starter, California expanded its temporary disability program into a paid family leave program that pays low-income workers up to 70 percent of their wages while on leave to care for themselves or their loved ones. Since California paved the way, six other states and the District of Columbia have enacted paid leave laws. 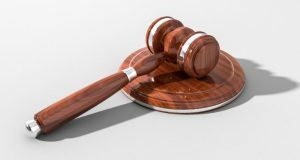 This year, similar laws are expected to be seriously considered in Colorado, Connecticut, Minnesota, Oregon and Vermont. Conceding that the Trump administration’s goal is to end the Affordable Care Act (ACA, or Obamacare), U.S. District Judge Ellen Hollander nonetheless has tossed a lawsuit by Maryland that claimed the administration’s anti-ACA actions were harming the state’s citizens. Brought by state Attorney General Brian Frosh, the lawsuit’s main point was that the Trump administration is failing to enforce the law and thus jeopardizing the health of Marylanders, which the judge dismissed as unproven. The lawsuit also claimed that the appointment of Acting U.S. Attorney General Matthew Whitaker was unconstitutional, a claim that died with the judge’s decision. Judge Hollander, an Obama appointee, further wrote that not defending the ACA in court, as the administration chose to do in the case in Texas that resulted in the law’s being declared unconstitutional, is not the same as failing to enforce it. Due to the partial lapse in appropriations that recently ended, the Equal Employment Opportunity Commission (EEOC) has delayed the due date for EEO-1 reporting. The opening of the EEO-1 online process has been postponed until early March 2019. The deadline to submit EEO-1 data will be extended until May 31, 2019. The EEO-1 is an annual survey that requires all private employers with 100 or more employees and federal government contractors or first-tier subcontractors with 50 or more employees and a federal contract, sub­contract or purchase order amounting to $50,000 or more to file the EEO-1 report. The filing of the EEO-1 report is required by federal law per Section 709(c), Title VII of the Civil Rights Act of 1964, as amended; and §1602.7–§1602.14, Title 29, Chapter XIV of the Federal Code of Regulations.